As many of you probably have guessed by now, I am a bit of a Pinterestaholic. I love it. I can’t get enough of it. And thank the LORD I do not have the time or resources to cook everything on my “this is why you’re fat” board, which is filled with all sorts of yummy, delicious foods covered in chocolate, or fried to a perfect golden perfection, or loaded with butter…..
Anyways, I HAVE had time to cook something off of my Pinterest board “good food = good body”, and it came out smashingly! 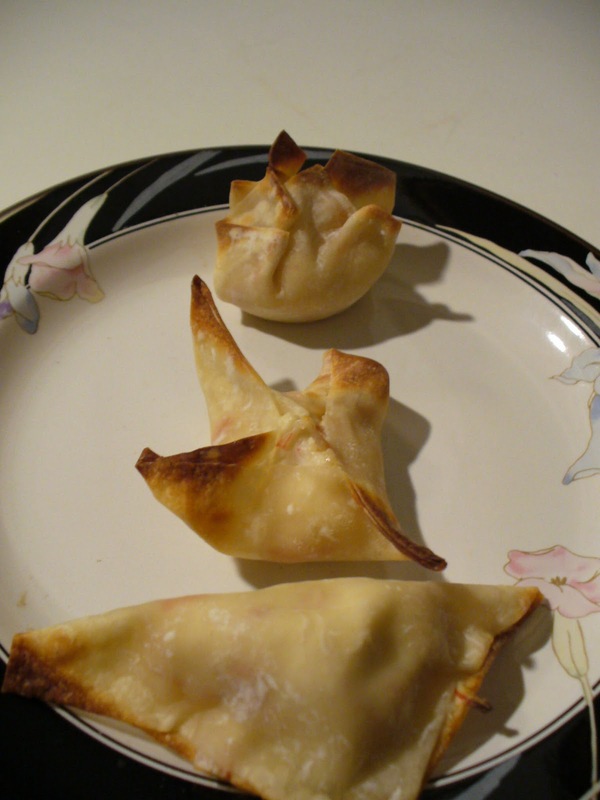 I tried the Weight Watchers – Baked Crab Rangoon recipe! While it is not fried, an automatic deduction of 5 points, it’s still a great substitute for any Asian food inkling you may have, especially if you aren’t looking for fried food! I doubled the recipe, because I like to bake in mass and freeze. But I can confirm that this particular recipe freezes and reheats very well! 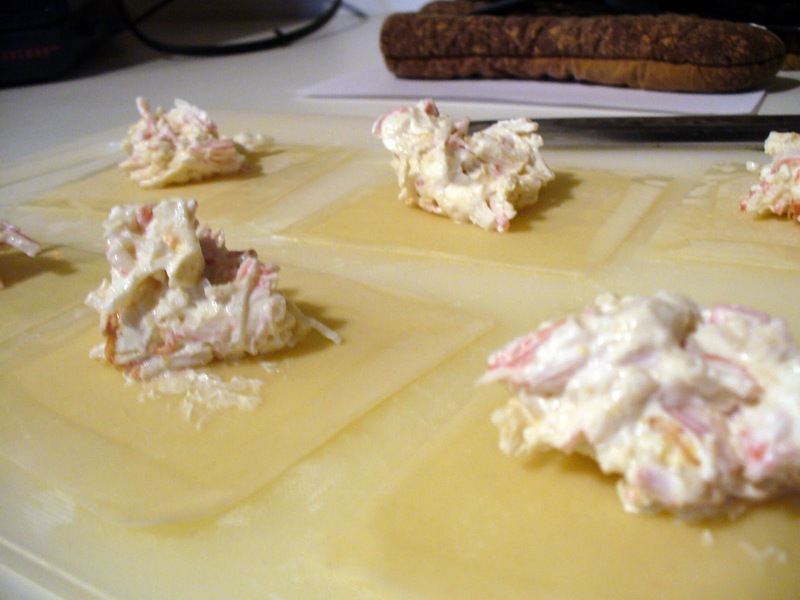 It would be perfect for a bake-a-head appetizer for a party or frozen in little snack baggies! This makes a lot of little pieces, so you may have to make a rotations in the oven to cook them all, but it is totally worth the wait! Most importantly: check out how EASY this is to do. There is really no way to mess it up! 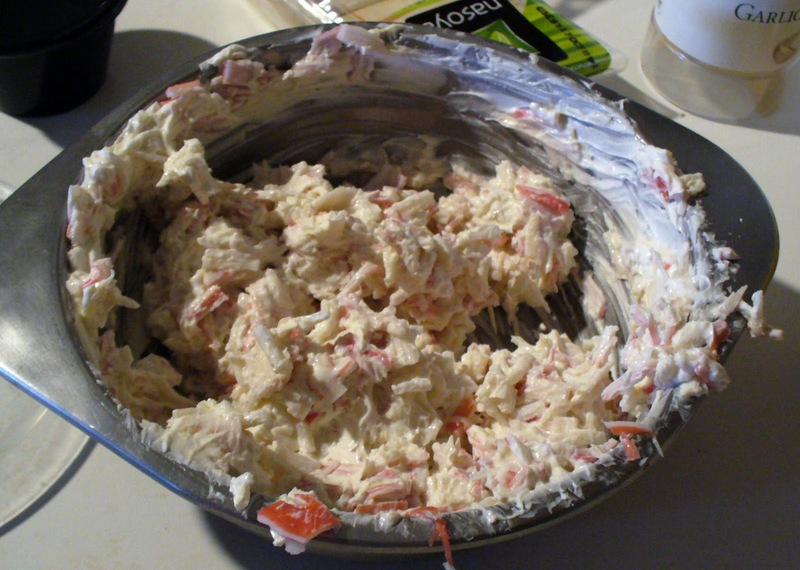 In a small bowl, combine the cream cheese, garlic salt and Worcestershire sauce until smooth. Stir in crab and onion. Bake at 425 °F (210 °C) for 8-10 minutes or until golden brown. Serve warm. I put together a little visual step by step tutorial for my fellow “visual learners”! 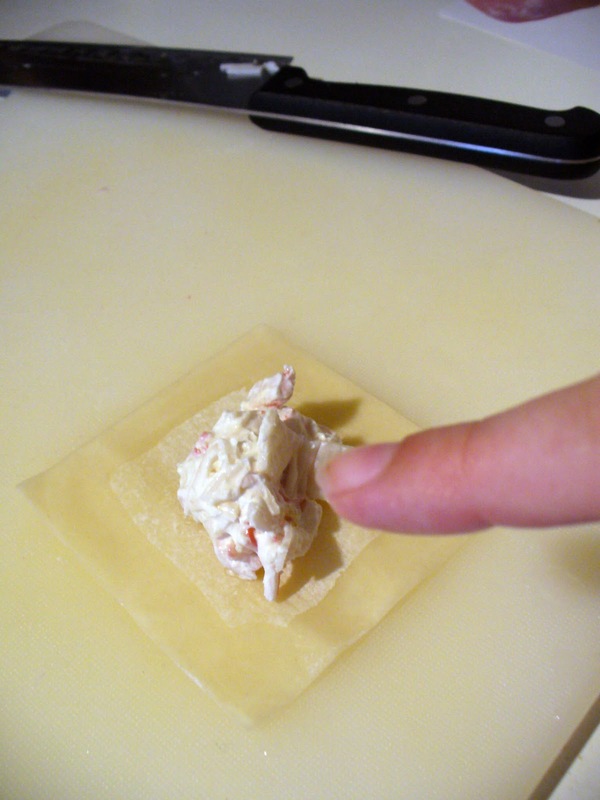 Fold and place on greased baking sheet! You can see there are a number of different ways to fold; it really just depends on how many you are doing, and how patient you are. Plain and simple! I hope you try this out for one of your upcoming holiday get-togethers! These were easy, cheap, and most importantly, HEALTHY! You are welcome! Thanks for looking! Yum, yum, and yum. We will be having these this week. Thanks!! …thanx so much for you lovely tutorial!! You are most welcome Valerie! I hope you enjoy them!! These are yummy BUT I've made them twice now, and they will not brown at all. Also, do NOT overcook, because all the filling will leak out. Hmm. Have you coated them in anything like a light misting of oil or brushing of butter? Maybe that will brown them better! I'm so glad you are enjoying them though! 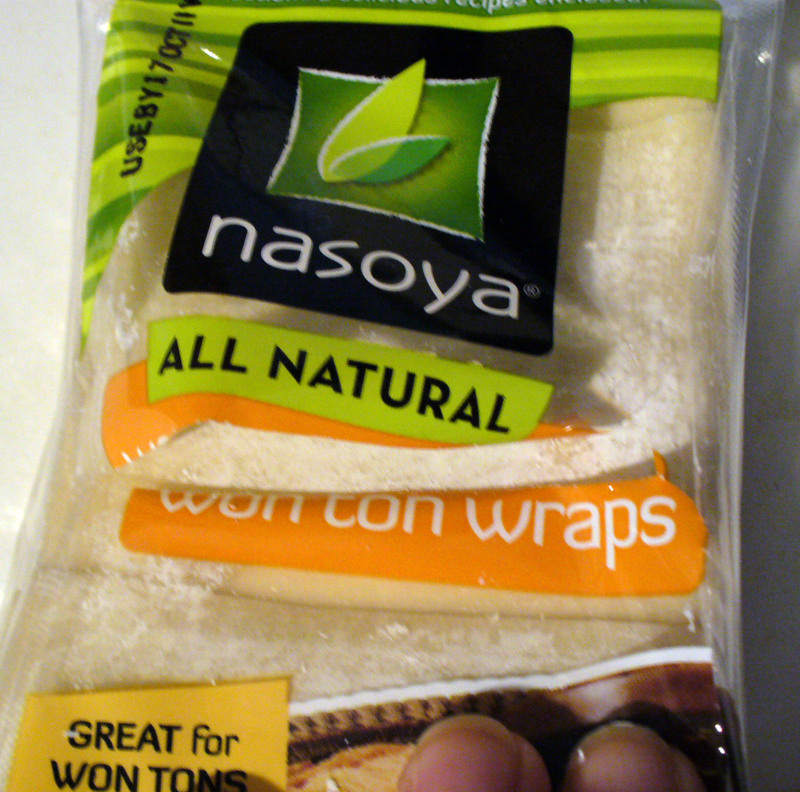 where do you get nonsoya wraps ? Sorry, didn't see the notification for this comment for some reason! I just got them at my local grocery store, but I'm sure any variation would likely work just as well. Do u have to use imitation crab meat or can u use caned crab meat?? 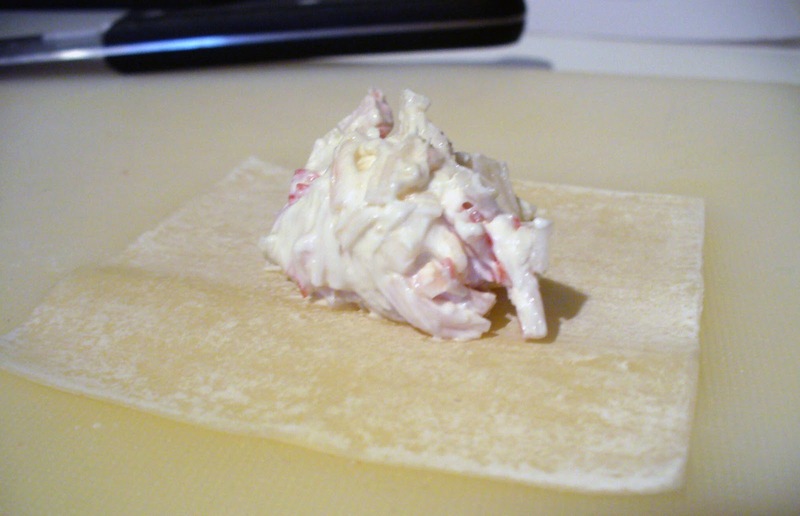 I think you could use caned crab meat, but I would suggest draining it really well before hand so it doesn't make the pastry soggy. I found this on Pinterest and just made it. Oh… mi…. gosh. It's SUPER DELICIOUS! I live in the mountains in Colorado, and there aren't any good Chinese restaurants around here. 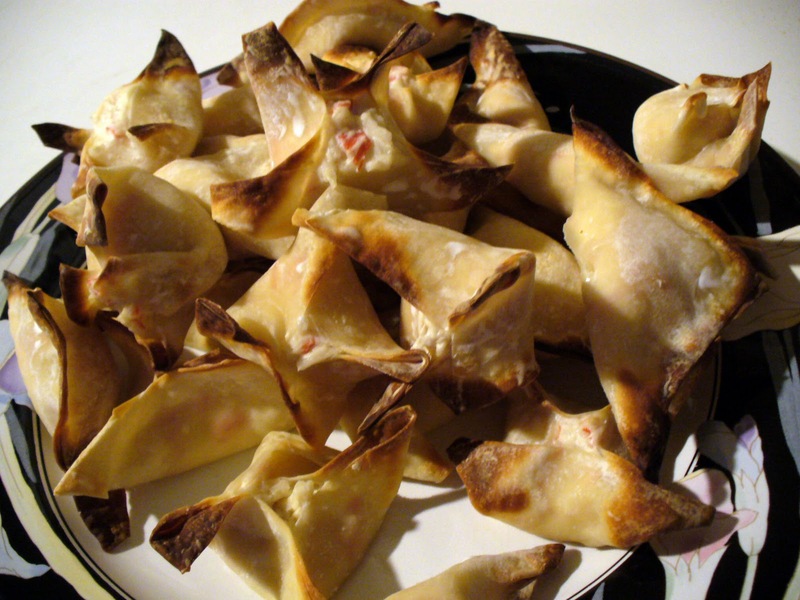 This recipe satisfied my crab rangoon craving in an instant. Thanks! Oops, didn't see your reply until now! 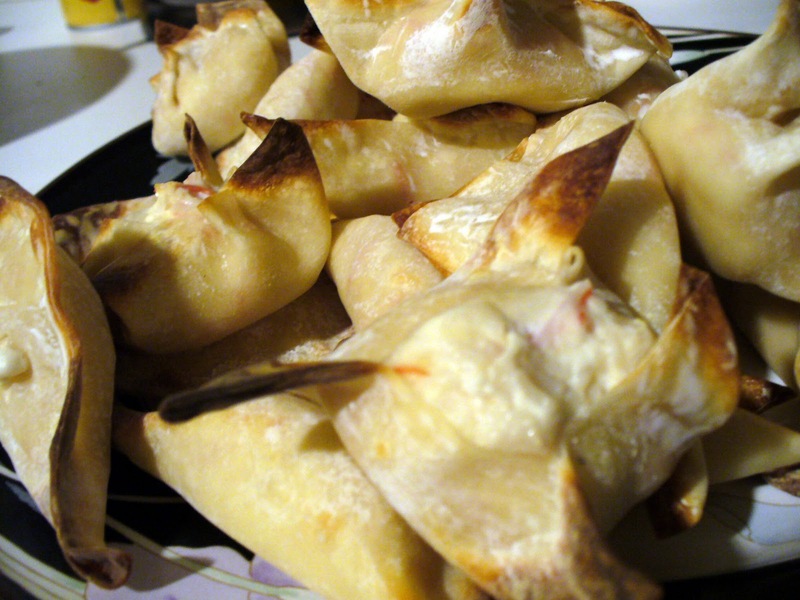 I've made those crab rangoons a few times since I posted my comment and they've been so phenomenal each time that there are never leftovers to freeze, haha. If I ever try to freeze (and defrost) them, I'll let you know how they turn out! Do you know how many WW Points this have?? Do you freeze them after or before you bake them? I froze them after they were baked, but I bet you could probably freeze them before cooking, just make sure they are thoroughly heated. Let me know how they turn out if you try! Easy and excellent! I used half a shallot instead of green onions in a double recipe. 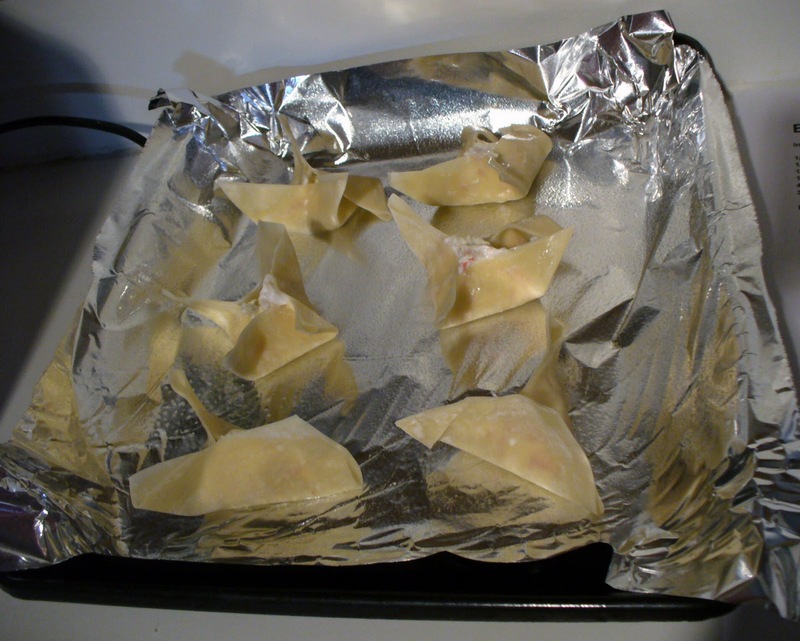 I folded it according to the won ton package directions so it looked more like Tortellini. I didn’t have a problem with the edges/points burning. Using this fold a double recipe made 32. Thanks for sharing Kathleen! Sounds like you got quite the bunch! Did you end up freezing them?